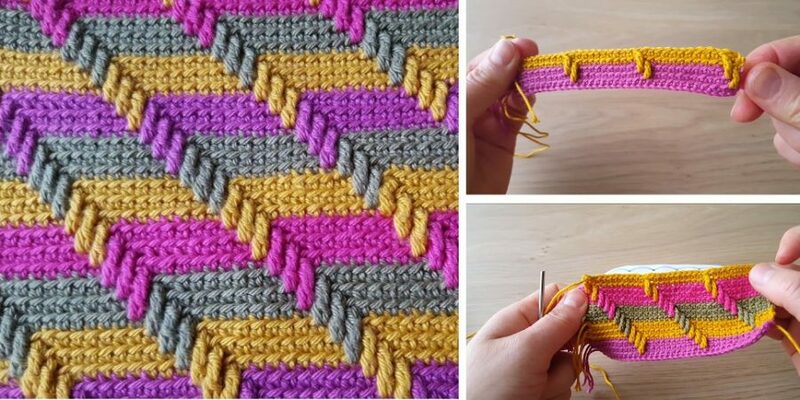 Today at the pretty-craft.com we will learn how to crochet using this amazing stitch, that I have never seen before, it looks like many stitches, but crocheting the way like this in my opinion is something new, it looks like a zigzag stitch, apache tears crochet patterns, but it is not the same, it is something new. We hope that information shared here will be useful for you and you can create spectacular things using this stitch, I am also interested about what you can do with this stitch, make blanket, wrap, shawl or something else, you can post your works in comments or share on my email. Unfotunately the pattern is not in English, but I believe watching this video you will understand everything you will need to crochet like this, wish you all the best!